Tata Consultancy Services (TCS) has teamed up with Microsoft and R3 Technology (R3), which runs a distributed ledger research facility out of Singapore, to drive the adoption of a scalable cross-industry blockchain platform. TCS sees the need for horizontal cross-industry platforms on which scalable solutions can be rapidly developed. Furthermore, the consultancy also plans on scaling-up hybrid cloud infrastructure with new capabilities and a micro-services architecture, enabling enterprise customers to digitally transform their business while uncovering new business value in the process. The platforms will sit on the Microsoft Azure blockchain cloud while taking advantage of R3’s Corda Enterprise blockchain platform, allowing TCS to quickly develop and deliver application layer solutions. “By collaboratively identifying the base capabilities needed for disruptive ecosystem use cases and by extracting reusable assets from engagements that we have executed, we are in a strong position to build and test minimum viable platforms for customers,” said Lakshminarasimhan Srinivasan, global head of blockchain services at TCS. “Some of the anchor solutions that we are building on these platforms include skills marketplace, anti-counterfeiting of luxury goods, affordable mobility, shared telecom infrastructure for 5G, and loyalty and rewards programs." Five blockchain platforms are currently being developed by TCS around digital identity, track and trace, assets in common, asset monetisation, and tokenisation, which present several solution opportunities for the firm who hopes to commercialise the solutions through its broad customer and partner networks. 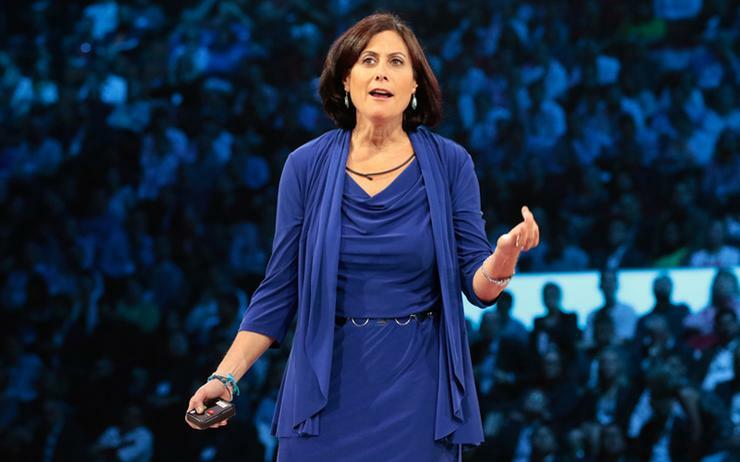 “Microsoft has been in the forefront of helping enterprises adopt blockchain technology with its Azure Blockchain offerings and DevOps kits,” added Gavriella Schuster, corporate vice president of One Commercial Partner, Microsoft. “This relationship would be valuable in accelerating adoption of these toolkits as well as in identifying future needs for rapid solution development and cloud hosting." Industry application of blockchain technology is widespread in areas like management of component lifecycle in manufacturing, digital assets rights, electronic health records management, software IP protection, peer-to-peer insurance, etc. Furthermore, platforms developed through the alliance will be equipped with complete DevOps kits wherein assets from all three companies would be available for rapid design, building, and deployment. “This alliance is not just about bringing together each company’s products and services,” said David E Rutter, CEO of R3. “It represents a rare opportunity for us to learn and develop solutions alongside one another so that the partnership is more than the sum of its parts. “It also provides a valuable ability to leverage joint networks of customers and partners to rapidly accelerate the adoption of Corda in key focus areas for R3, such as insurance, asset tokenisation and digital identity verification." TCS has already deployed its Quartz Blockchain Solutions for enterprises in the financial services value chain, significantly reducing transaction costs in the process. Through this alliance, the firm will create business value for customers by actively curating enterprise ecosystems through expanded blockchain platform solutions across a multitude of industries.